A front entrance should make a statement. It should be inviting. 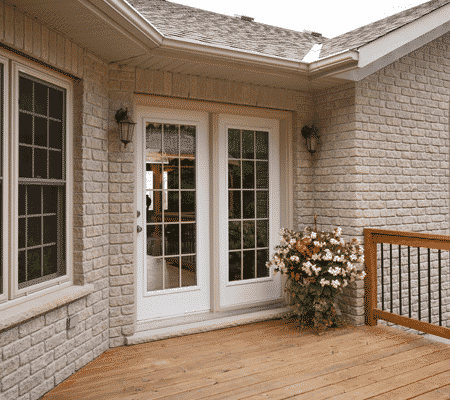 Beingessner Home Exteriors sells hundreds of entrance doors every year. We have the expertise to find a door that suits your home, your taste and your lifestyle. 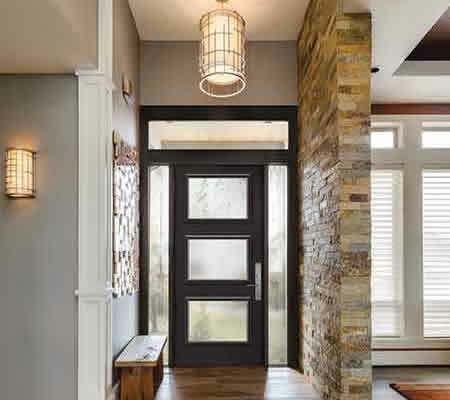 Each year, the door industry pushes the limits with new technologies to provide doors that are more durable and energy efficient. Steel and fiberglass insulated doors are maintenance-free, energy efficient and economical. Factory painting and staining are available. We have a wide selection of glass inserts to fit your style and privacy needs. 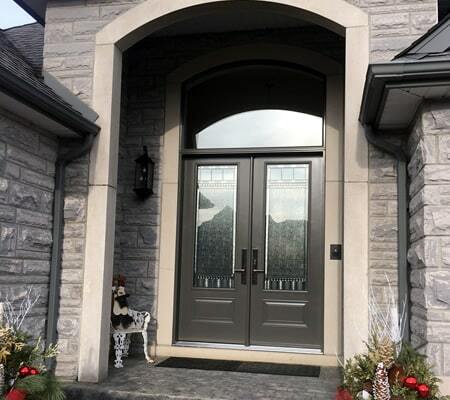 Call us today to see how we can change your door to a beautiful entrance you will be proud to come home to! 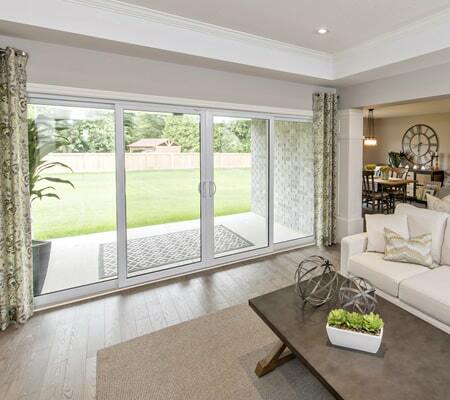 Patio doors have become a standard in homes today. 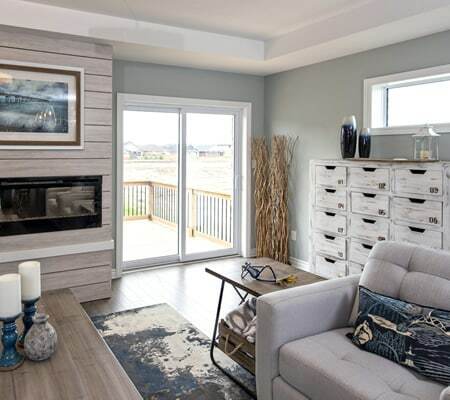 They function as a direct access point to decks, patios and backyards, they flood a room with natural light and they provide an unobstructed view. High quality patio doors operate easily and add overall comfort to your home. 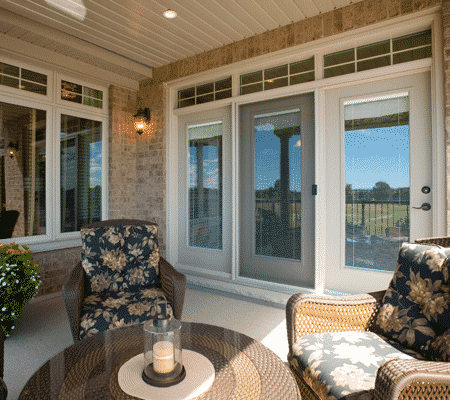 From standard white offerings to something a little fancier, Beingessner’s has you covered when it comes to selecting the perfect patio door for your home. Garden Doors are a great alternative to patio doors, if you are looking for a more ‘formal feel’. Garden doors offer the same options as entrance doors. Since garden doors are constructed of insulated steel or fiberglass slabs, they are an energy efficient option. A standard sliding screen allows for maximum ventilation. Storm doors were originally installed on homes to help shelter the interior wood door from the elements, and to provide much needed ventilation in non-air conditioned homes. Today’s homes are much different. Today, most homeowners wanting a storm door, want it solely for the ventilation the door provides when air conditioning is not necessary. Styles of storm doors have changed very little over the decades, but today’s doors are made with better components and have more features. 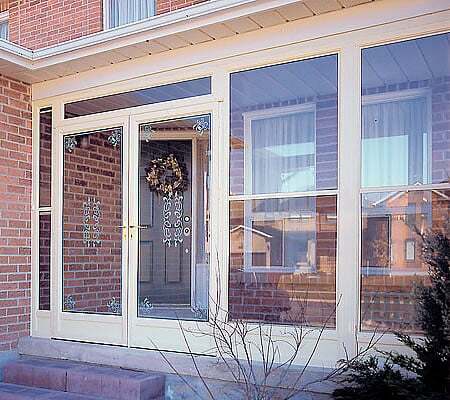 Porch enclosures are a great way to protect your front entrance and provide a larger entering space. They give your home added security, a winter buffer zone keeping heat in and drafts and snow out, summer ventilation and a touch of class! 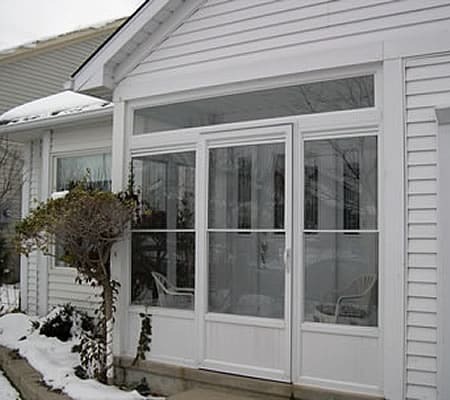 Incorporating ventilating windows and usually a storm door, a porch enclosure allows for added protection from the elements. Entrance enclosures are custom fabricated glass panels and doors made from 1 ¾” aluminum rail specifically designed to fit an opening.